TMO Announces MyTouch 3G Slide! Sliding its way into my heart! 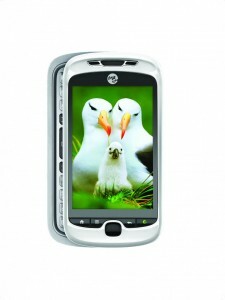 The latest Android-powered smartphone marries beautiful form with superior function on a faster 3G network. BELLEVUE, Wash. — May 4, 2010 — T-Mobile USA, Inc. today announced a new addition to its exclusive line of AndroidTM-powered T-Mobile myTouch® 3G smartphones — the T-Mobile® myTouch 3G SlideTM. Anticipated to be available in June, the new myTouch 3G Slide combines a roomy slide-out QWERTY keyboard with an incredibly crisp, high-performance touch screen powered by the latest Android software. The T-Mobile myTouch 3G Slide is purpose-built for communication, with unique new features that help customers connect more easily, more quickly and more often to their closest family and friends. Faves GalleryTM: Life is hectic, so it’s easy to miss opportunities to connect with loved ones. Faves Gallery presents up to 20 of your favorite people and the different ways to communicate with them — calls, texts, e-mail, instant messaging, social networking updates — in a dedicated application accessible through a soft button and an easy-to-use widget complete with photos, contact information and one-touch ability to respond. All of your Faves® get special status on your myTouch 3G SlideTM; anytime they communicate with you or update their social network you get a notification in the notification pane. Even if you’re not using your phone, a custom green light lets you know you’ve got a communication waiting from one of your Faves. And you can respond directly from the Faves Gallery, without launching e-mail or other applications, so you connect more quickly and more often with the important people in your life. myModes: myModes helps you draw the line between work and home by creating different themes with home screen apps, widgets and wallpapers to empower people in the different roles they play each day. You can set myModes to switch at a designated time, by location, or manually with the option to create and store up to 10 customized modes. myModes removes clutter and makes you more efficient both at work and at home. Want to forget about work on the weekend? No need to hide your work phone or switch to another device; just put away your work tools, like e-mail and your calendar by switching modes, and bring forward all the things you love to do on Saturday. Genius ButtonTM: With the Genius Button, you press one button, talk, and it delivers. The Genius Button, powered by Dragon Dictation from Nuance Communications (Nasdaq: NUAN), is an easy-to- access button on the front of the new T-Mobile myTouch 3G Slide allowing the use of voice commands to control the phone and it’s features including making calls, composing and sending texts and e-mails, searching the Web or your surroundings. It will even read text messages aloud, and lets you dictate responses naturally as if you were speaking directly to a person. Powered by the Android 2.1 software, the myTouch 3G Slide offers a rich mobile Web experience and access to thousands of applications on Android Market from games to location-based social networks to on-the-go shopping and more. Similar to the original, the new myTouch 3G Slide was designed to facilitate personalization inside and out. A five-pane home screen, with the option to increase to seven panes, offers plenty of real estate for your favorite widgets, applications and themes. Designed by HTC exclusively for T-Mobile, the myTouch 3G Slide features a 3.4-inch HVGA touch- screen display with virtual keyboard as well as a roomy, slide-out QWERTY keyboard. Less than 15mm thick, the elegant design slides easily into your pocket proving that Android brains don’t have to come in a sci-fi box. The myTouch 3G Slide also features a 5-megapixel camera, a music player with a pre-installed 8GB microSD memory card, and enhanced video capabilities to make it easy for users to record and share pictures and videos, whether via e-mail, MMS or one-click upload to sites such as YouTubeTM and PicasaTM. The device’s powerful mobile data experience is supported by fast data speeds via Wi-Fi and T-Mobile’s nationwide 3G network, which is getting even faster this year as T-Mobile upgrades its network with the latest wireless technology. The myTouch 3G Slide is expected to be available in June, exclusively from T-Mobile USA in three colors — black, white or red. Customers can visit http://mytouch.t-mobile.com for more information. So, it sports Android 2.1, comes in three colors, has Swype installed, and has a pretty nifty screen. What’s missing from this press release though? How about a processor speed? Is anyone picking one up? Is it a worthy successor to the G1?